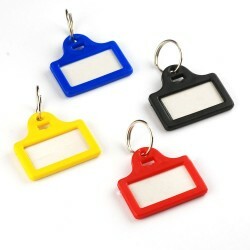 Economy plastic key tags There are 8 products. 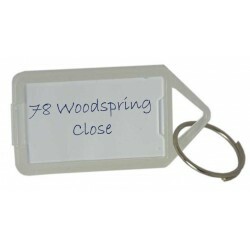 Plastic key tags, complete with paper insert protected by a clear plastic cover and coiled ring. 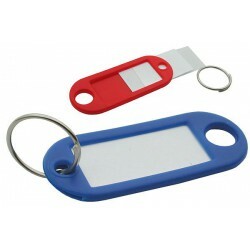 Simply 'click' open the protective cover and write on the paper insert before snapping it shut again. Box of 96 in assorted colours. 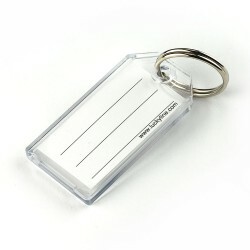 Plastic key identification tag complete with transparent address window, card insert and steel ring. 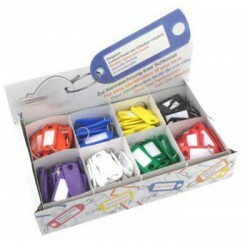 200 tags in eight assorted colours to assist with identifying groups of keys.